The Sandcastle Villa is a luxurious house in a prime location. It has upscale features with a covered (mosquito protected) & well-lit 7x4m pool where you can swim undisturbed at nights. 3 bedrooms with walk-in closets. 2 bathrooms - one with large shower, the other with bath tub. Centre piece of the villa is the fully furnished, open kitchen with breakfast bar overlooking the pool. The house has a beautiful dining room and a spacious terrace area by the pool side (called Lanai). Very nice property, well taken care of. Relaxed a few days, ran around to the beaches a few days, great location for us. Everything we needed was close, Family, friends and food! Just what I hoped it would be! Easy location to everywhere and close to my nieces. Beautifully decorated, has everything you need. Loved the pool! Wish I could have stayed longer. We happily booked this property months in advance based on the pictures, description, and price. We have spent the last 15 years staying at different rental properties for the Christmas holidays and this one looked like something we would be pleased to stay in. Unfortunately, when we arrived the entire house smelled of sulphur and this smell continued coming from the taps, washer machine, and the sprinkler system at night even after running them. More offensive than this, was the mould we found around the pool area, under the air conditioning unit in the garage, and under the carpet which lined the entire garage floor. Beyond this health risk were the misrepresented facts about some of the accommodations/amenities. 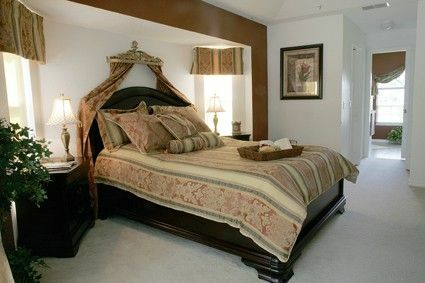 The beds listed as king size were in fact only queen size and the double bed was a single. The linens for the beds and towels were worn out and the kitchen linens looked dirty. The kitchen floor was dirty and so were the kitchen counters even though the house was said to be "all ready for us". Another disappointing factor was the garage. Along with the mould, it was listed as a two car garage, however because they had a pool table in the garage, you had to park your car outside in the sun. The brochure of the house looked beautiful, but time and improper care was the reality upon entering this house...like the old bathrooms and well overgrown pool area! The owner was very pleasant throughout the initial booking and onward, however when we mentioned these issues to him (including sending pictures taken), he told us that their housekeeper found no smell and that it really wasn't mould at all. He was not easy to work with after that point. We left after staying only one night because we could not endure the sulphur smells nor put our health at risk with the mould, especially because we were supposed to be renting it for one month. We would definitely NOT recommend renting this property and this is coming from travellers who have used VRBO| in the past and have rented many other properties in the same Florida area. Unfortunately this review on our house was from a lady who rented the house for 3 weeks in december. She should arrive Dec. 5th but did not show up. She wrote me an email that she has some problems because she´s moving out of her house into a new flat. So she came 4 days later than expected. The day she arrived she wrote me an email that everything is not good in the house and I immediately called our housekeeper Michael to take care of it. He and one helper arrived 1,5 hours after her email. Nobodys been in the house, nothing was touched or used. No mold, no sulphur smell, no guest. He called her and she said she´s already in North Florida on the way back home. One day later she worte me an email that she would like to have some money back. And that is what it´s all about. She´s never been in the house in Dec. They booked the house 7 month before scheduled arrival because they´ve been in Florida.They´ve seen the house, they have been in - and booked it. I didn´t gave her money back because there really was no reason. After that she wrote that review and HomeAway/VRBO doesn´t delete it. Reason for that is that I don´t cancelled her booking in the calender and they say: she booked the stay, I didn´t cancel it and so she´s allowed leave a review. What should I say. It´s annoying. We stayed at this property over the Thanksgiving holiday and had a wonderful time!! I have rented many vacation homes in the past but this one was exactly how the pictures showed. It was spotlessly clean and the furniture was in great shape. Our boys loved the pool table in the garage. This home is extremely well cared for and is beautifully decorated. The owner, Oliver is very nice and made renting this home a breeze. I will definitely rent this property again in the near future. Thank you Oliver for such a lovely stay!! Wir haben uns von Anfang an superwohl gefühlt. Die Villa war sehr sauber und ist mit viel Liebe zum Detail eingerichtet. Das Mobiliar ist sehr hochwertig. Die Terrasse und der Pool liegen absolut ruhig und sind von außen nicht einsehbar. Man hat einfach seine Ruhe. Wir werden sehr gerne wieder in diesem Haus einen Urlaub verbringen. vielen Dank für die tolle Bewertung. Wir freuen uns sehr, dass Ihnen der Aufenthalt in unserem Haus gefallen hat und freuen uns auf Ihren nächsten Besuch in der Sandcastle Villa. In der Villa fehlt es einem an Nichts, sehr gepflegt und perfekt ausgestattet. Sehr netter Kontakt mit dem Vermieter, der zahlreiche Ausflugstipps gegeben hat und auch eine sehr herzliche, deutschsprachige Hausbetreuung. Wir hatten einen Traumurlaub und kommen gerne wieder! Northport is an ideal base for visiting any part of Florida: Fort Myers about 45 minutes, about 2 hrs to Orlando, Tampa / Sarasota about 1 hr, Miami 2.5 hrs, etc. Venice Beach can be reached in just 10 minutes by car. Within 25 minutes you have 23 different beaches to choose from. Likewise, a perfect location in Northport itself: 8min to the highway, 6min the highway no. 41 (Tamiami Trail), which connects all the coastal towns. Supermarkets and restaurants are also within 4 miles. Im Mietpreis der Sandcastle Villa sind Nebenkosten wie Strom, Wasser, etc. bereits enthalten.